Product Description Timeless Look. Create a calming ambiance in your child’s room with this timeless Hanover Youth collection in white. Combining warmth and style, these bedroom pieces showcase exquisite architectural details and ample storage. Featuring a gorgeous pure white undertone with grey splatter that will match any room’s décor, this collection will meet your child’s changing tastes and create the perfect organized space. The bookcase has three built-in USB ports and two electrical outlets for maximum convenience. 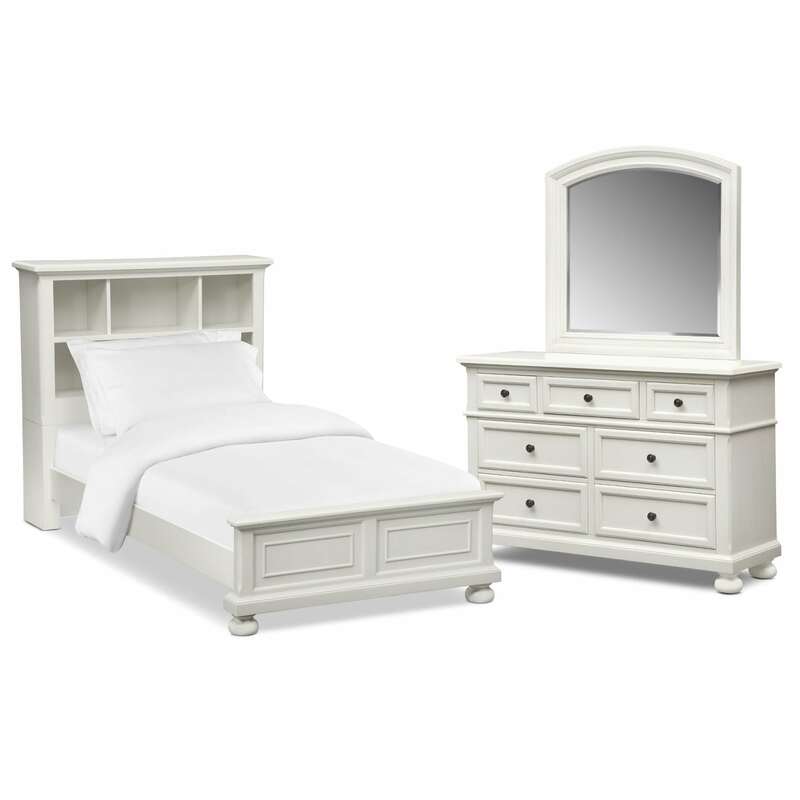 Five-piece package includes complete Twin bookcase bed, dresser and mirror. Unique Features: Bookcase features three built-in USB ports and two electrical outlets, and ample shelf storage for books or collectibles. Deep drawers offer ample storage, and the top drawer is lined with soft felt for special belongings. Beveled mirror adds touch of class. Construction: Constructed of rubberwood solids and mango veneers for durability against daily wear and tear. Bed requires both mattress and boxspring.